A conversion factor is a method used to convert a measured quantity to a different unit of measure without changing the relative amount. Units can be changed within the same system of measurement (metric or imperial) or from one measuring system to another (i.e. from metric to imperial or from imperial to metric). 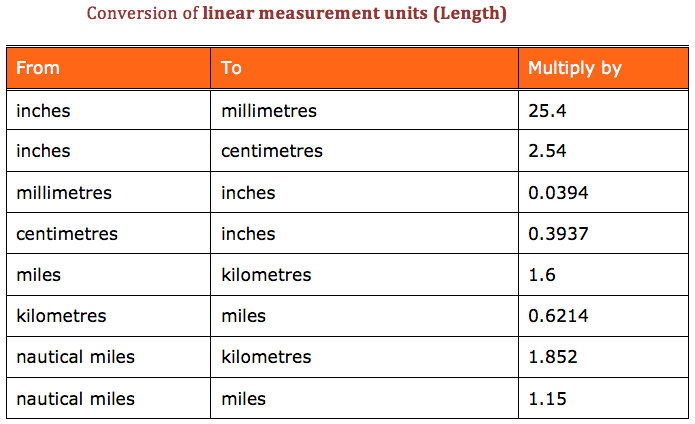 Units can be converted from metric to imperial or imperial to metric. The most commonly used units conversion in the Aviation industry are listed in the tables below.